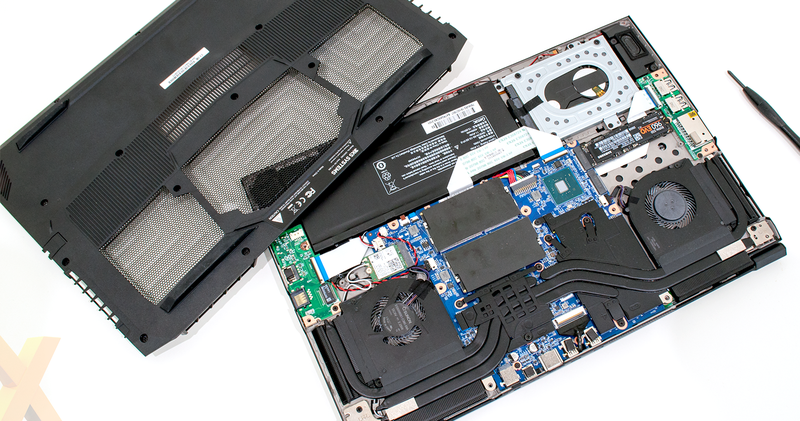 A plethora of stunningly engineered laptops has put system integrators into a bit of a quandary; heightened consumer expectations are such that it's no longer merely a case of cramming powerful components into an on-the-shelf Clevo chassis. There's a growing desire for all-metal construction, thin profiles and stylish looks, and if you don't want to pour money into developing chassis of your own, what do you do? Scan Computers has shopped around for something a little different to the norm and has formed an alliance with Chinese manufacturer TongFang, whose GK5CN6Z barebone enclosure serves as the foundation for the 3XS LG15 Vengeance Pro. 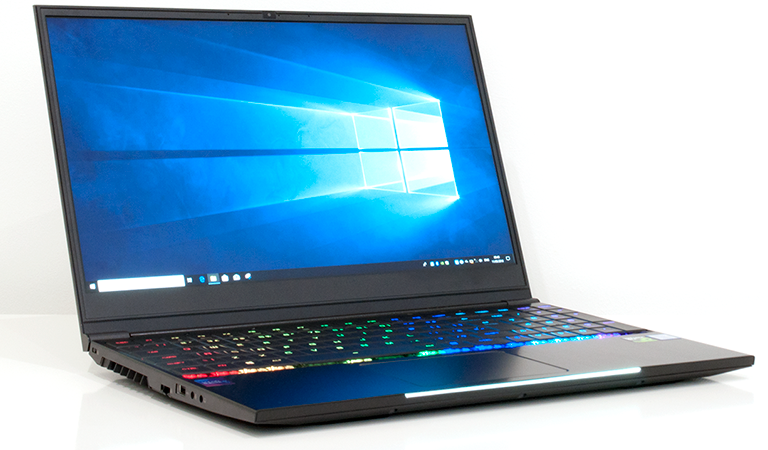 Designed to "deliver smooth frame rates in the hardest to run games on its high quality 1,920x1,080 panel," this 15.6in gaming laptop pairs a latest-generation Intel Core i7-8750H processor with Nvidia GeForce GTX 1060 graphics at a £1,400 price point. The components are a sensible pairing and it's nice to see Scan trying something new; as far as we can tell this is the first TongFang-based machine to reach UK shores. It could be a risky move to step away from the tried and, for the most part, trusted Clevo enclosures, so how does the GK5CN6Z compare? After spending a week with the laptop we've come away with mixed feelings. First impressions are favourable as the enclosure is primarily of aluminium construction, giving it a higher quality feel than plastic equivalents. The keyboard tray is subsequently nice and rigid, however the metal materials are nonetheless lightweight, as evidenced by the flex that remains in the display lid. 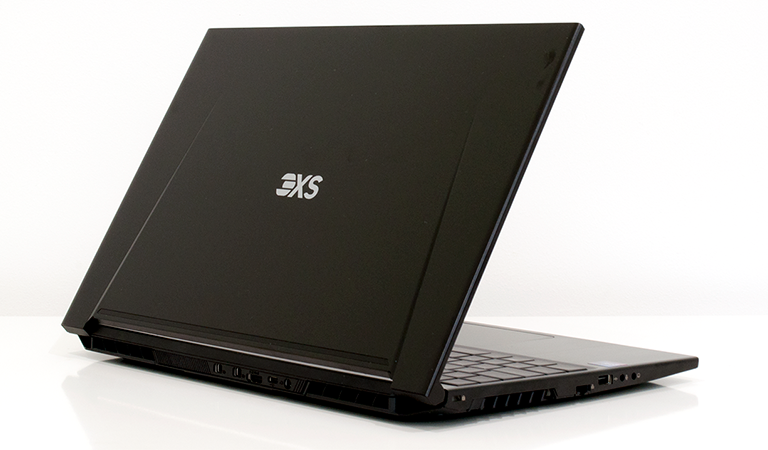 Some of the edges are a little on the sharp side - particularly the front corners - but the various panels feel well knitted together and a height of 19.9mm allied to a weight of 2kg ensure the laptop remains relatively thin and light for a 15.6in gaming PC. Display bezels on the top and sides are suitably thin - albeit the bottom area looks sparse without any form of branding - however the hinge isn't as strong as we'd like and fast typing results in a bit of wobble. It's also hard work keeping the laptop looking like new. The very-black paintwork has a nice Razer-like sheen to it at the beginning, but it doesn't take long for it to collect dirt and fingerprints that are highly visible after just a day's use. As is the case with most PC gaming hardware, RGB lighting is in plentiful supply. 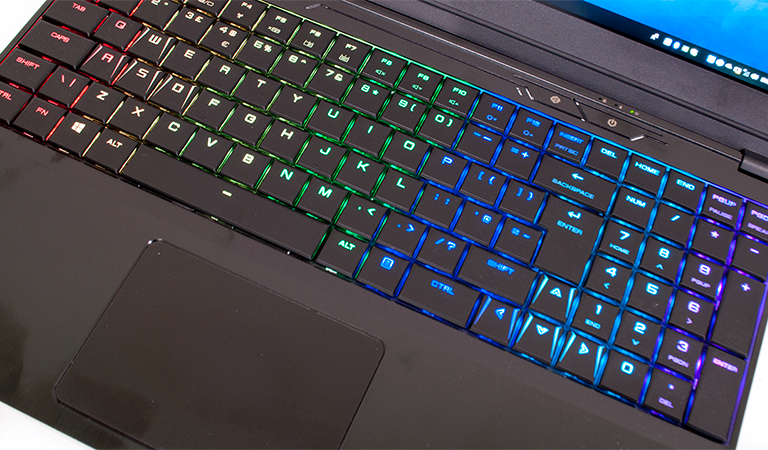 The keyboard has good illumination and decent software customisation options, though we aren't overly keen on the light bar illuminating the laptop's front edge; it's of no practical use other than to be distracting and can thankfully be turned off via the bundled app. Gaming laptops need a suitable display and Scan has settled on a 15.6in IPS panel from Chimei. Offering a 1,920x1,080 resolution, the matte-finish display offers a standard 60Hz refresh rate, wide viewing angles and, as the benchmarks will reveal, ample brightness and accurate out-the-box colours. 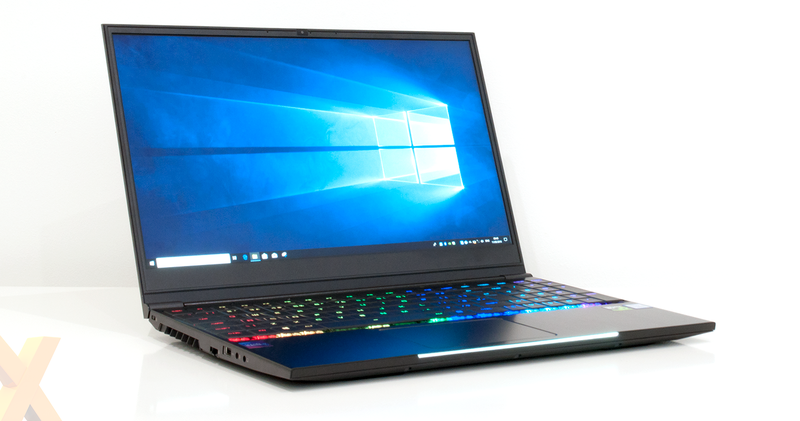 A decent all-rounder whose resolution ought to be a safe match for the GTX 1060 GPU, though there are some caveats; our review sample has noticeable signs of backlight bleed in the corners; and there's no option for a touchscreen. Gamers may not lament the latter, but for those of us who have become accustomed to touchscreen laptops, you miss having the ability to reach out and navigate. On the plus side, the downward-firing speaker system packs a surprising punch and is more than adequate for everyday use and occasional music. 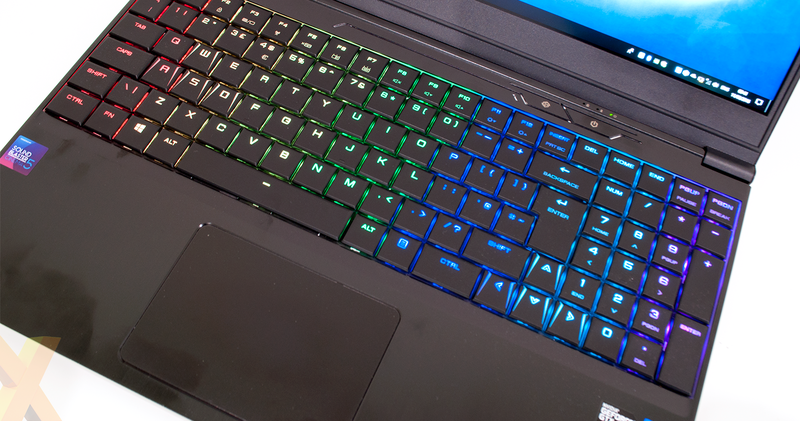 One area in which gaming laptops tend to divide the audience is the keyboard and trackpad, and the 3XS LG15 Vengeance Pro is no exception. The keys are backed with low-profile mechanical switches that gamers may prefer, yet while they offer good action, they are annoyingly clicky in use. The noise is off-putting and inconsistent as some keys seem to produce a harsher click than others. The precision touchpad leaves room for improvement, too. Although well-sized, smooth to the touch and accurate in use, it isn't quite as firm as it ought to be; there's a slight amount of movement beneath the entire pad, making it feel a little loose whenever your fingers make contact. Scan's choice of chassis ultimately isn't a major draw. Though perfectly adequate in most regards, it doesn't convey the luxury feel of premium alternatives, and that means the internal components need to strike an appropriate balance at the £1,400 price point. This is where Scan's expertise lies, and the firm's hardware choices make good sense. 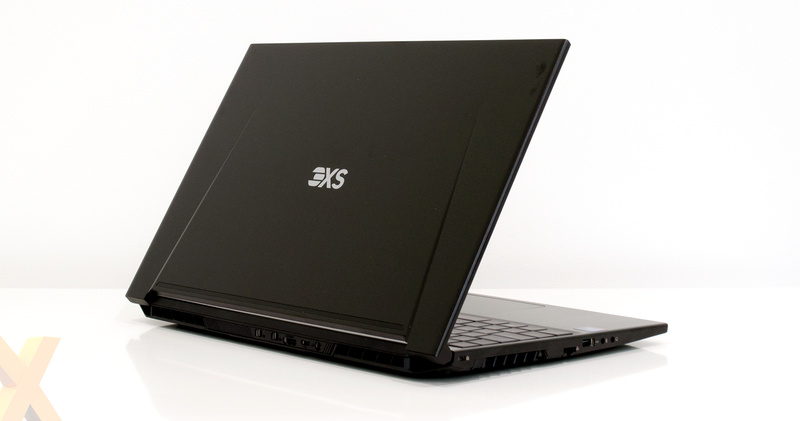 At the helm of the 3XS LG15 Vengeance Pro is a six-core, 12-thread Intel Core i7-8750H processor that serves as the focal point for many modern gaming laptops. Joining the high-performance chip is 16GB of dual-channel Corsair Vengeance DDR4-2400 memory, dedicated 6GB GeForce GTX 1060 graphics and two storage devices; a 250GB Samsung 960 Evo M.2 SSD as well as a 1TB Seagate BarraCuda 2.5in HDD. Everything you'd expect, though the 47Wh battery is relatively small, and doesn't bode well for the battery test coming up later in the review. The component choices ought to deliver on the promise of fluent 1080p gameplay, and port selection should cover most use cases. The laptop's left side is home to a pair of audio jacks, USB 2.0 and Gigabit Ethernet. Over on the right there's an SD card reader alongside dual USB 3.0 ports, and around back you'll find two Mini-DisplayPorts, HDMI, USB 3.1 Gen 1 Type-C, and a connector for the external 150W power supply. Wireless capabilities are provided by an up-to-date Intel Wireless-AC 9560 adapter. It's a shame the Type-C port is tucked away out of reach, but connectivity choices are ample and, as you'd expect from a well-known system integrator, the laptop is pre-loaded with a 64-bit install of Windows 10 with no additional bloatware. Scan backs the 3XS LG15 Vengeance Pro with a two-year warranty as standard, and though the configuration options are by and large limited to memory and storage, the default specification is in line with our expectations. Let's now take a closer look at benchmark performance.